The travel visa for Australia comes under the SubClass 600 to plan your tour of Australia. It is important to understand what is required and what is not to get yourself a tourist Visa for Australia. The Australian tourist visa will give you six-twelve months time period which would enable you to explore and witness Kangaroo’s culture, interest, winterest, sports, and cuisines. The immigrants of various nationalities can apply through Electronic travel Authority /evisitor through Online portal. 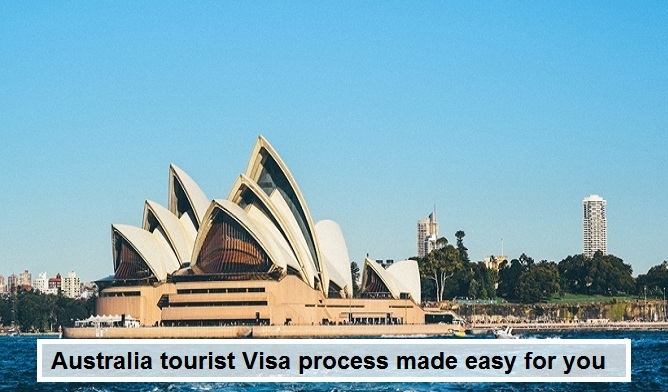 Clients or Applicants as may be regarded can apply for the Australian tourist Visa through an AVAC-Australian Visa Application center to get information about tourist and business class Visa which comes under the same Visa consideration. The people who meet the criteria are given special advantage which is fast track service option which has certain additional amount which has fees of Rs 53,300.Apart from this the candidates must be legally obligated citizen of both host and visiting nation. In the Visa category is Subclass 600 in which the client cannot provide any services to a firm or organization based, in that class it can apply a separate Visa under SubClass 400. The inhabitants of Australia and PR holders can apply for tourist Visa which can be extended a bit longer. SubClass 103 Visa category provide a Visa validity of five yrs to entry of whose parents have been staying outside Australia can stay up to a period of 12 months who are in the Visa queue of parents. Aspirants who wish to study or do an internship can be also given a tourist Visa with a period of stay of 3 months. How to apply for Australia tourist visa, and how much cost.